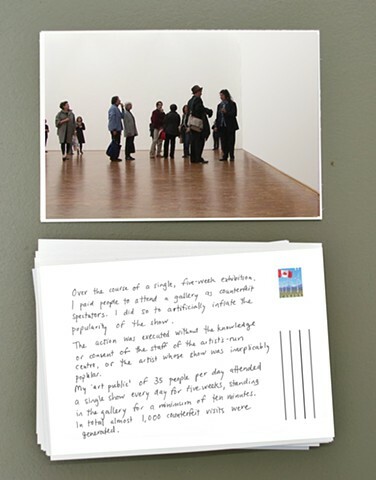 A postcard mailed to all artist-run centres in Canada acts as documentation for the project. This postcard anonymously informs centres that the project happened, without disclosing where or by whom the intervention was enacted. Without any distinctive features to identify the project, the authenticity of any and all art publics become suspect.